Grace L. Sanders Johnson is Assistant Professor of Africana Studies at the University of Pennsylvania. She received her doctorate from the University of Michigan in the Joint History and Women’s Studies Program. 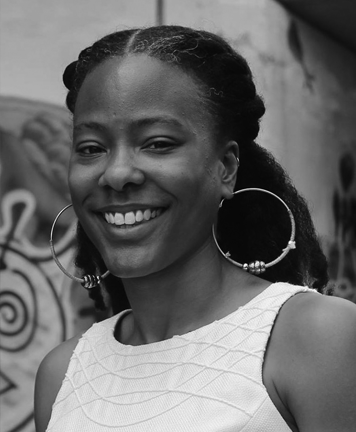 Sanders Johnson has been awarded fellowships from the Thomas J. Watson Foundation, the Andrew C. Mellon and Ford Foundations, the Canadian Embassy, and was awarded an Emerging Scholar Fellowship from the Haitian Studies Association. She has worked with various archival projects including Concordia University’s Oral History Project Histoire de Vie (Montreal 2011). She has published work in several journals and books including Reconstruction, The Journal of Haitian Studies, Sisters or Strangers? Immigrant, Ethnic, and Racialized Women in Canadian History (University of Toronto Press, 2016; edited by M. Epp and F. Iacovetta), and Caribbean Military Encounters (Palgrave MacMillan, 2017; edited by S. Puri and L. Putnam). She is currently completing her first book manuscript entitled, White Gloves, Black Nation: Gender and Citizenship in Early Twentieth Century Haiti. In addition to her study of gender and politics in Haiti, she is the founder of Harriet’s Hike – an ecological literacy program for girls and elder women in North Philadelphia.